Some of the flowers in La Petite Maison’s garden are at their blooming best at the moment, so I thought I’d share a couple of my favourites with you. Take a look at this gorgeous calendula, it’s like a little ball of sunshine in the flower bed. 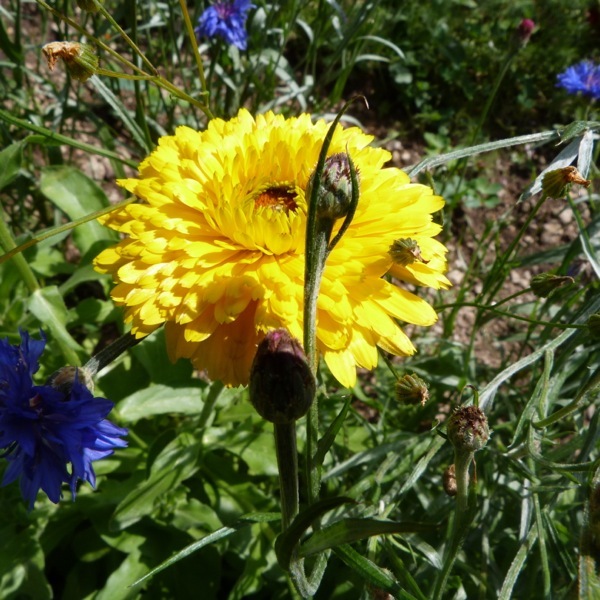 Both the calendula and the cornflowers were grown from seed, which we got via the internet from Higgledy Garden in Cornwall. You must go and take a look at the website if you’re in any way interested in gardening. They have the most fabulous selection of cut flowers seeds, including lots of wild flowers, and traditional garden plants that seem to be hard to find these days. The seeds come in really lovely brown paper packets decorated with art nouveau designs. I should probably point out that I’m not on any sort of commission here, just a big fan. 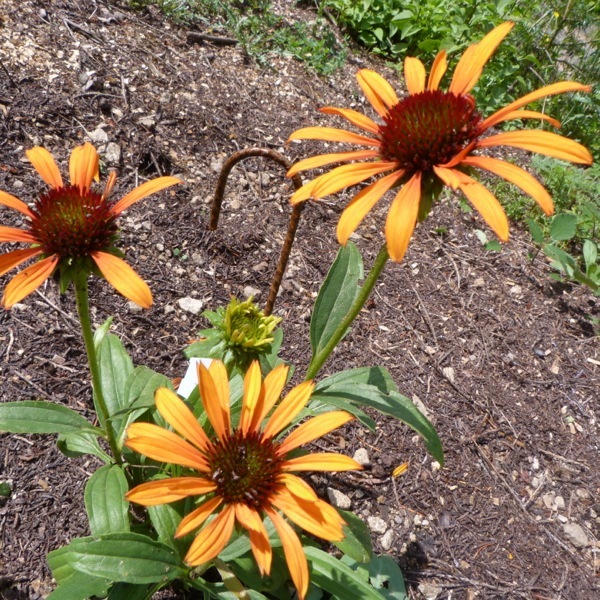 This echinacea lost a few petals during the recent storms, but it’s still looking pretty stunning. This one came from closer to home – a specialist perennial nursery in nearby Champagnac-le-Vieux called Campanule & Compagnie. It’s in a beautiful setting, on a hillside overlooking the valley below, and they have literally hundreds of plants to choose from. They also have some gardens planted up, so that you can see how the plants will look once they reach full size. We spent a very pleasant afternoon browsing and buying in late June, and this was part of our booty. I’m hoping that we will have a mild September, as we did last year, and the the flowes will keep a little bit of summer going in the garden as we head into autumn.